The Main Contract for the new Arts Centre at Sherborne Girls has started on site. The transformational project designed by Burrell Foley Fischer will benefit the whole school and wider Sherborne community. Morgan Sindall, the Main Contractor for the project, took procession of the site at the end of October. Prior to the main contract, a groundworks contract excavated the site which produced about 11,000 tonnes (about 7,000 cubic meters) of spoil from the main site and new tennis courts, which was spread across the playing fields to level the surface. Using the spoil to level the playing fields saved about 450 lorries taking it out of Sherborne for disposal. The School have published a time lapse video of the excavation. 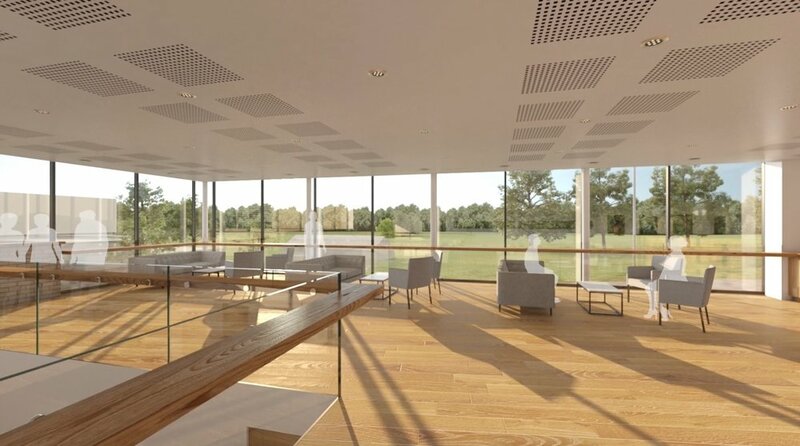 ReEnergise has been appointed to install a Ground Source Heat Pump (GSHP) system for the new Arts Centre, which will displace natural gas for 100% of the heating for the new centre and will provide most of the cooling at a very attractive efficiency compared to traditional split air conditioning systems. They are installing approximately 200kW of heat pump compressor capacity and the site will collect the Non-Domestic Renewable Heat Incentive subsidy. The rationale for going ahead with the GSHP was both energy cost reduction and having a green energy source at the school.